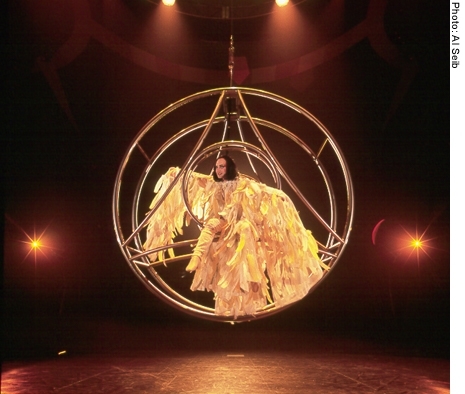 The Cirque’s inspiration comes from centuries past and the mythical images of yesterday and tomorrow. 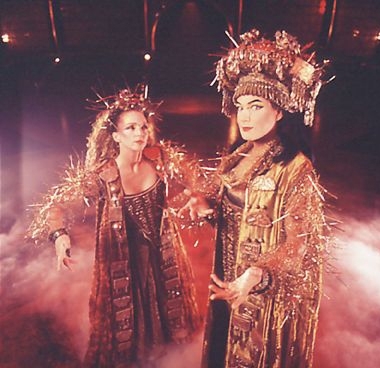 Dralion celebrates the rite of passage to the next millennium synthesizing East and West traditions which carry The viewer back in time and into the future. Dralion fuses together ancient Chinese acrobatic traditions and contemporary themes of life which derives much of its inspiration from Eastern philosophy with its perpetual discovery and harmony between man and nature. The show pays homage to the four elements-earth, air, fire and water, and the fifth, who governs the four others, which take on human form and rule worlds defined by their individual vivid colors. 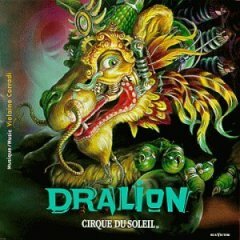 Dralion is an extraordinary voyage through a futuristic dimension- a place without time, ruled by magical laws. Erik Karol plays the central character, “l’ Ame Force” and through voice weaves the past, present and future together, telling the story of how time and magic becomes one. 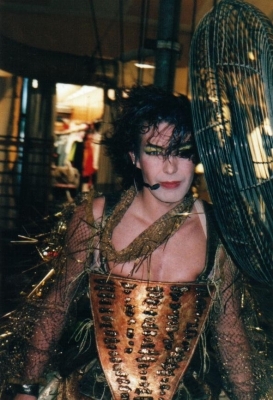 Dralion is directed by Guy Caron. 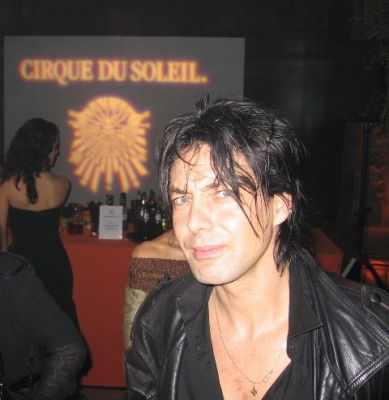 Erik performs from the premiere in Montreal in 1999 until 2001 in Atlanta touring in Quebec, Toronto, Los Angeles, Orange County, San Francisco, San Jose, Denver, Minneapolis, Washingon D.C … The show is nominated for a “Grammy” in Los Angeles in 2001, and Erik records two TV show in the US on the famous Leno show. The CD of the show releases at the end of 1999 with BMG, and a DVD live is recorded in 2000 in San Francisco.Erik joins the European tour between 2004 and 2006, in Austria, Spain, Belgium, Switzerland, with a highlight in Royal Albert Hall of London. Seville will be its last city. Erik Karol will also be parodied in South Park for its character in the show.